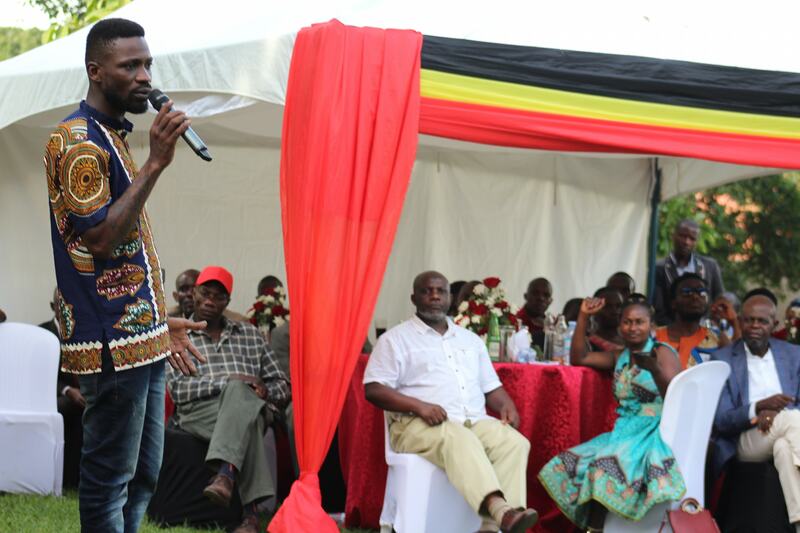 WAKISO – Kyadondo East Member of Parliament Robert Kyagulanyi aka Bobi Wine on Friday hosted all LC1 chairpersons from the 53 villages of his constituency to a luncheon at his home in Magere, off Gayaza road in Wakiso District. Bobi Wine said that the event was intended to interact with the leaders and discuss development of the area. “We had a fruitful end of year Luncheon today at Magere with all LC1 chairpersons from the 53 villages of Kyadondo east constituency. With us were all Kasangati town council councillors and the Mayor,” he wrote on his Facebook page. 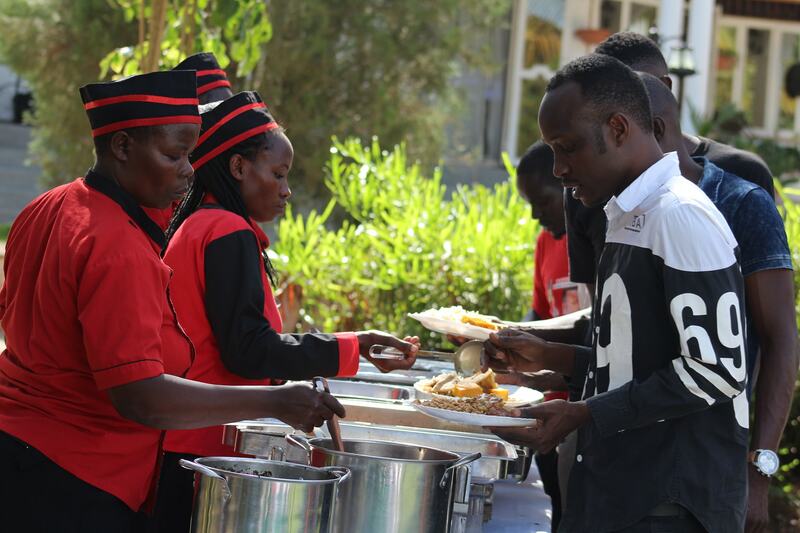 “We believe in interactions made casually over a meal and some music in the background. We in Kyadondo know that if each leader played their part with passion and transparency we would transform our communities to the desired level and we are working towards that. Our festive began early so allow me to wish you all a beautiful December,” he added. 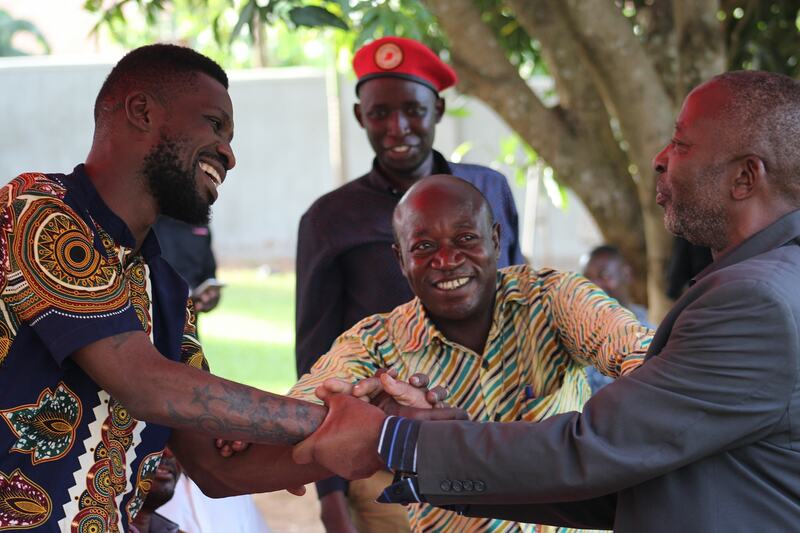 Since his election last year, Bobi Wine’s political profile has grown under his People Power pressure group. He helped Asuman Basalirwa win Bugiri Municipality MP by-election as well as Kassiano Wadri in Arua Municipality by-election that ended in chaos. He was subsequently arrested and his torture at the hands of security forces in August attracted global condemnation. Since his return into the country from the US, he has continued to draw crowds wherever he has gone. He is also one of the most followed on Facebook and Twitter. Recently, his Kyarenga concert attracted an estimated 40,000 people. Bobi Wine also took Kenya by storm in October when he visited the country at the invitation of outspoken Embakasi County MP Babu Owino. Last week, he was in Ghana where he launched the People Power Ghana Chapter, with the Kyadondo East MP saying this is intended to coordinate and mobilise other people in the area interested in liberating the country. “This morning [Friday, November 23], I had a conversation with a group of activists and the #PEOPLEPOWER_GHANACHAPTER about the political atmosphere in Uganda in relation to the state of democracy on the entire African continent. I commend these young people for devoting their energy to finding solutions to problems using all means within their reach. I will be meeting fellow Ugandans living in Ghana and West Africa at the OS AURORA APARTMENTS near Flag Staff House at 11:00 am tomorrow. If you live in this community, come and let’s catch a conversation about our country and our continent,” he wrote on his Facebook wall on Friday.